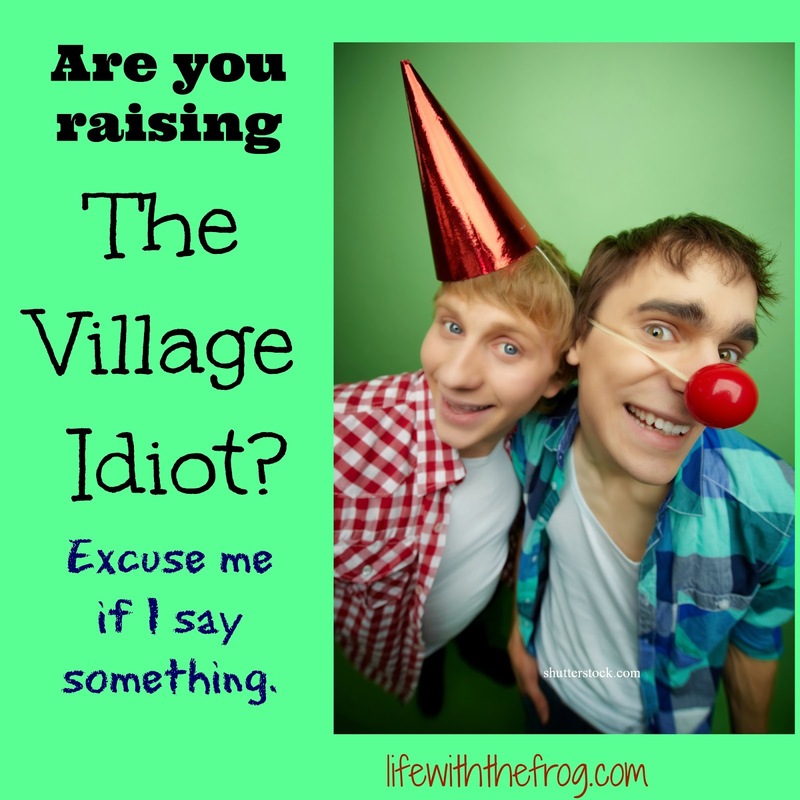 kissing the frog: Are You Raising the Village Idiot? Excuse Me if I Say Something. Are You Raising the Village Idiot? Excuse Me if I Say Something. The other day, the boys and I were leaving the pool and crossing the parking lot to our van. Now, mind you, I do not have the good fortune to be the mother duck with her little ducklings all in a row behind her. My little ducklings are more like those you see in a carnival shooting gallery game - first going one way then another. Frequently I will have one or two next to me (I still make the three year old hold my hand or that of his most responsible brother), one running waaay ahead, and one lagging faaaar behind. It's just the nature of the game. Anyway, as we were leaving, a teenager roared through the parking lot at top speed, whipped around in the pick-up circle, and prepared to accelerate out of the parking lot. Seeing that his window was open, I yelled, "Hey, slow down! You're in a parking lot!" He looked at me - shocked - but I swear he didn't leave as fast as he came in. I get it. He's a teenager. He has a car. He thinks he's cool. He wants to be cool. But he needs to get that I have small children walking near his car. I love them. I want them to not be dead or hurt. He doesn't have children. He is only concerned about himself. I understand that, too. But I am a mother who is concerned about her children, and I am going to point out to him that he needs to drive slowly and carefully. If his mother were there, she would do it, too. I don't think any of us set out on this journey to raise an idiot. Though, the old saying is true, "You need a license to drive a car, own a gun, and to catch a fish, but any idiot can be a parent." With the abundance of parenting styles these days - authoritative, permissive, hands-off, hands-on, helicoptering, Tiger Moms and Eagle Dads - there's bound to be a style that doesn't jive with mine or yours or someone else's. You've heard of Hillary Rodham Clinton's "It Takes a Village," right? But what if that business affects us and our children? Can we say something then? Even if the parent is standing right there and refuses to do nothing? Yesterday at the Children's Museum, Edgie and Lil' C were playing with the train set. A boy of about two or three burst onto the scene and starting grabbing the trains out of their hands. Edgie of course wanted his train back. I coaxed him to ask for it back, but the boy said no and knocked trains off the tracks. I was desperately looking around for his adult. You see, despite having been a teacher for almost a decade and a mom for over a decade, I don't like to discipline other people's children. Especially ones I've just met and know nothing about. The boy seemed to have some special needs. He was definitely non-verbal, and positively kept up his inappropriate behavior. Pretty soon, Lil' C stepped in and got Edgie's train back by using a trick I had taught him long ago to deal with his own brother: bait and switch. He gave the boy another train to play with instead and got Edgie's back for him. I was pretty proud that Lil' C had applied something he had been shown. Imagine my shock when it turned out the boy's parents had been standing right behind me and had said and done nothing? They dragged him away from the trains with no warning, no verbal explanation, just a quick, "Let's go play somewhere else," to soothe his cries. I was kicking myself that I didn't handle the boy's misbehavior better. You see, I could have been an example to these young parents on how to handle and redirect their child's misbehavior. 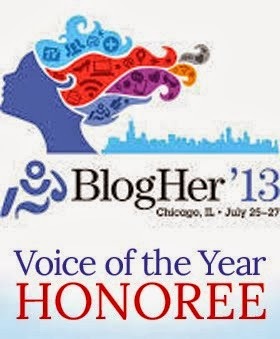 Look, I'm definitely not saying I am Mother-of-the-Year - OMGee, far from it!! But I think our society has gone so far to the left that we can't see our way back any more. We are so adamantly concerned about our own rights and doing whatever we want to do (and do it we will, dammit all to hell anyway), that we are incapable of seeing that we have a responsibility to look out for other people as well. It's a matter of respect, people. Sometimes I think we can talk to our own kids until we are blue in the face and they have long stopped listening. But if a stranger or another adult reprimands them, it means more and it sticks way longer than something we have said to them does. I have seen the looks on my boys' faces when they are jacking around in a store or other public place and a worker tells them to knock it off or not touch something. Even though I say "the speech" every. single. time. And I know, I KNOW, there are times when adults take things too far and are too harsh or misunderstand what a child is doing or his intent. That's why I said I don't like to discipline other people's kids. But when something is obvious or risk of harm is clear, it is an adult's responsibility to speak up. Back to the pool parking lot. After I yelled at the teen in the car, another teen walking turned around and gave me a "STFU, Crazy Lady" look. I had half a mind to say, "Do you see me walking with four small and slightly spacey children?? IT'S A SAFETY ISSUE!" But I didn't. Because I didn't want to pick ALL the battles. I am all for people doing what they want to do and what makes them happy. But for the love of all that's holy, respect those around you while you're doing it. If that means your kid is going to act like an idiot, so be it. But if he gets in my way or my kids' way, I'm going to say something. And I expect you to do the same to mine. Do you agree? Tell me why or why not.